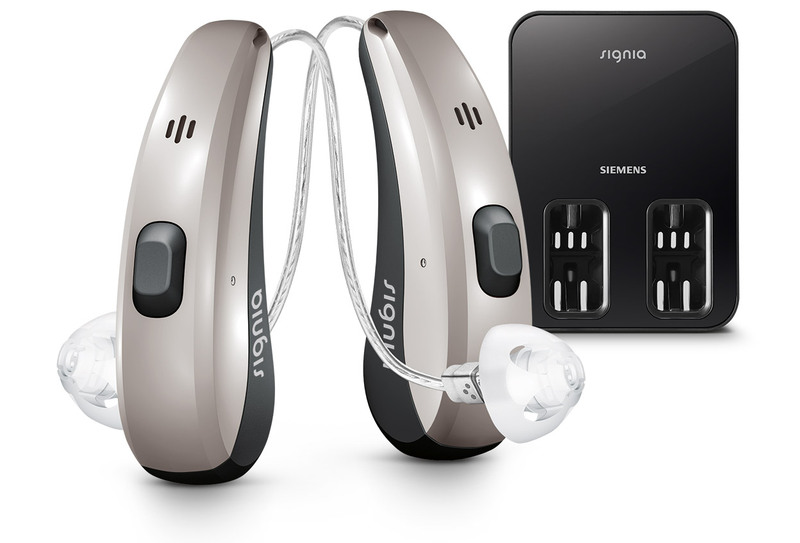 Signia Nx family represents the latest hearing aid technology from Signia (previously Siemens Hearing Instruments). Signia Nx with OVP™ (Own Voice Processing) combines outstanding hearing clarity with the most natural hearing experience, helping to overcome one of the most common issues for hearing aid wearers, the sound of their own voice. Now available (from April 2018) with a Lithium Ion rechargeable option. Signia Nx is available in ultra discreet Receiver-In-Canal and conventional Behind-The-Ear styles, and in a large range of colours to match your hair or skin tones. Available in range of technology levels to suit your lifestyle and budget. OVP™ provides the most natural sounding own voice experience. 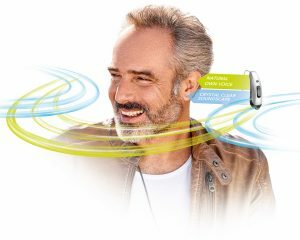 Signia Nx hearing aids are able to identify the wearer’s own voice separately to other voices in the environment via its revolutionary dual processing. This helps to overcome one of the most common issues for new hearing aid wearers, being the sound of their own voice. The Signia Nx hearing aids with OVP resulted in a 68% improvement in acceptance (as measured in a 2017 study on “First Fit Acceptance”). 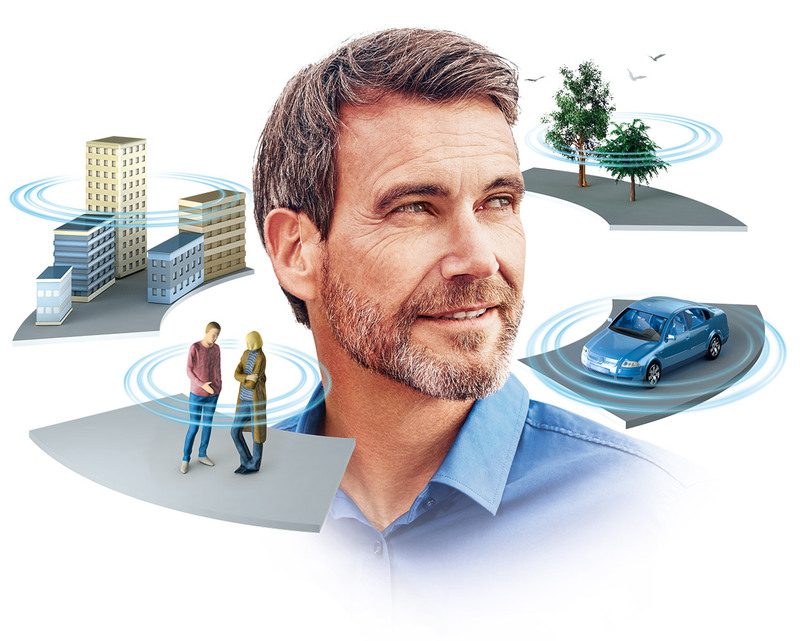 The all new Ultra HD e2e link between the Signia Nx hearing aids allows for industry leading beam-forming, directional technology providing clear speech clarity in high levels of background noise. Signia Nx utilises a 3D classifying system of the environment comprising of: environmental sounds, whether the wearer is moving or stationary, and the wearers own voice activity. These three parameters are all balanced automatically to provide outstanding classification of the soundscape. 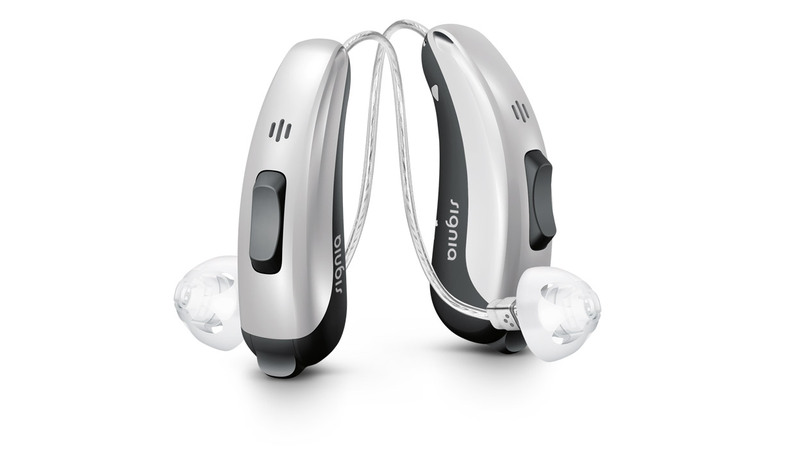 You can now obtain all the hearing benefits of the Signia Nx family in a convenient rechargeable option called Pure Charge&Go. Simply charge the hearing aids while you sleep, and you never have to worry about the hassle of changing batteries again. It only takes 3 hours to achieve full charge which then gives you up to 19hours of use. It is easy and intuitive to charge the hearing aids thanks to the inductive design, which means the hearing aids do not have to be placed in an exact position, and the lack of charging contact points means less chance of dirt and debris getting inside the hearing aid. Signia Nx offers 2.4GHz Bluetooth direct connectivity to your iPhone, allowing you to listen to phone calls and music without the need for additional accessories. 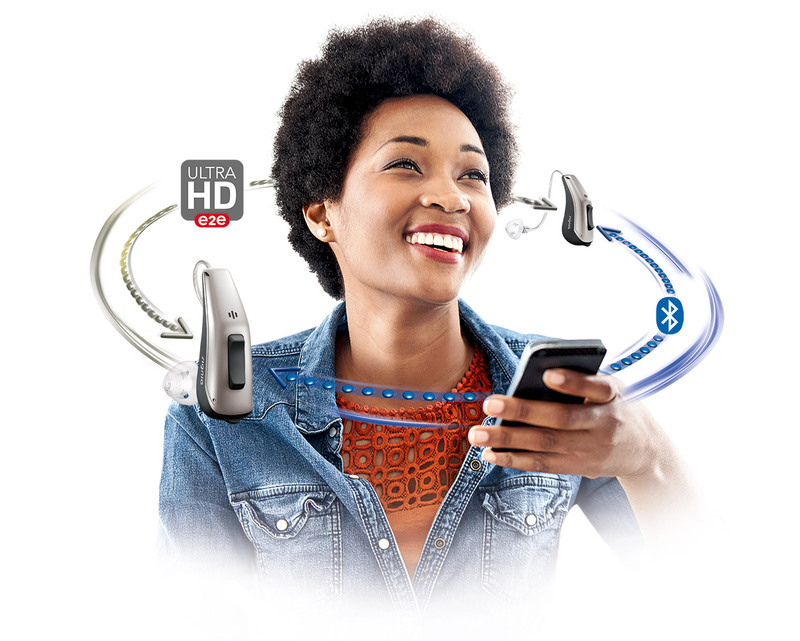 Wearers of the Signia Nx hearing aids can make individual adjustments, even 360º microphone steering of the hearing aids via the myControl app (available for both iPhone and Android) . In addition, streaming is available from all other Smartphones and television via the StreamLine Mic and StreamLine TV accessories. The myControl app has been specifically designed for the Signia Nx and Pure BT primax hearing aid families. MyControl allows for the wearer to easily and discretely access the volume and programs within their hearing aids. It also gives the wearer access to information such as daily sound exposure levels. The my Control app also sends information to the hearing aids via the iPhone motion sensor, telling the hearing if you are on the move or stationary. This information, in addition to the acoustic information ensures the hearing aids automatically adjust to every situation for the ultimate in hearing clarity.